UNTHA wood waste grinders reduce your disposal, transport and storage costs. The LR1000/1400 is fully adaptable to your application and is a good choice if you need to shred more than 15 cu. yds. of wood waste per week. Thanks to its size the LR1000 and LR1400 are the ideal pallet grinders. Metal parts such as nails, screws, clamps or metal fittings are not a problem for the single-shaft shredder. The high-capacity of this low-speed wood grinder is a result of the powerful motors and performance-oriented design. 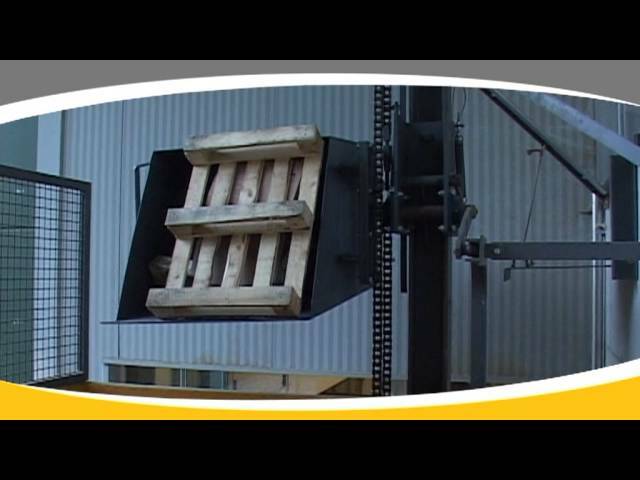 The long rotor, a large screen surface and an optimized cutting system design give you the capacity you need for processing your waste wood. With the use of different screens you can determine the particle size as needed. The screen sizes usually range from 1/2 inch to 3 inches. Thanks to the rotor's special mounting, dust-protected bearings, proven transmission damper, and special cutting tools, the wood shredder also requires very low maintenance and provides you with a long service life. In the event that foreign objects enter the shredder, the smart drive control automatically shuts down the motor. In addition, the shredder has been equipped with an automatic reverse to prevent motor overload. Energy-efficient technology is particularly important for wood grinding machines that run continuously. For this reason, the LR1000/1400 uses optimized cutting tools that shred using very little energy. In addition, the motor shuts down automatically if no material is fed into the machine for more than 3 minutes, saving energy and lowering your operating costs. The LR1000/1400 produces a high quality granulate suitable for use in wood chip heating systems or for briquetting. We offer customized shredding solutions for production waste from the wood processing industries together with material handling equipment, metal separators, or pipe magnets. We are confident in the reliability and quality of our wood recycling equipment and are willing to prove it. In fact, we are the only manufacturer offering a three-year warranty! *or 2,000 hrs, whichever is reached first. Do you need a little less capacity? Single-shaft shredding systems can be almost universally used and are able to process a broad range of different materials. Depending on the model, they are equipped with a pusher system that drives the material against the rotor. Replaceable cutting inserts on the rotor shred the material, and an easily replaced screen controls the final particle size. "Easy knife replacement, the ability to quickly change knife holders if they are damaged by foreign objects and the efficient shredding of various types of wood are clear advantages of the LR1000. The homogeneous granules it produces are also well suited for heating. This is an excellent way for us to meet our own energy needs." „UNTHA's energy-efficient shredder is a big step for us towards producing our fair stands in a climate-neutral way." Our wood shredders come standard with an extraction hood. You can easily connect your existing extraction system to the wood shredder and transport the granulate to the chippings and shavings silo. Shaftless conveyor spirals are a cost-effective alternative to traditional conveyor screws. The flexible conveyor spirals come in various lengths and diameters. Our technicians will be happy to design a customised solution for your application. We are also happy to provide infeed and discharge conveyor belts. These will be optimally adapted to the on-site conditions and the desired throughput performance of the shredder. A popular solution to ensure efficient metal separation is to use conveyor belts equipped with a magnet separator at the pulley. The combination system is a favourite among our customers. UNTHA technicians will be happy to design a customised solution for your application. Our wood shredders can be equipped with a discharge auger as well as a screw conveyor. Depending on your application, we will be happy to offer you the right solution in various lengths and inclines. UNTHA offers customized hoppers to fit your needs. Oversized hoppers to load from a tipper or bucket loader, interlocked access doors, and more, can be accommodated. The tilt table enables you to reliably shred particularly long residual timber. The tilt table is directly connected to the shredder and automatically tilts the material into the hopper. Customized substructures offer you maximum flexibility. 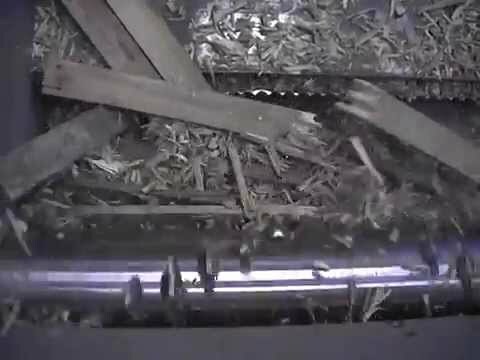 The wood shredder is thus easily adapted to the on-site conditions and to your existing conveyor technology.